1 Bdrm Semi-detached Maisonette. Lounge/Kitch. Bathrm. 1st flr: Bdrm. Study/Bdrm (CT band - C). Parking. Price over £155,000 Entry by arr. Viewing contact solicitors. Below Home Report Valuation (EPC band - B). Situated within a modern and executive development in the popular suburb of Kingswells, we are delighted to offer for sale this immaculately presented one bedroomed maisonette completed by local developer Stewart Milne homes. Located within beautifully maintained grounds this appealing property is undoubtedly in ready to move into condition with neutral décor, stylish flooring and modern fixtures and fittings throughout. 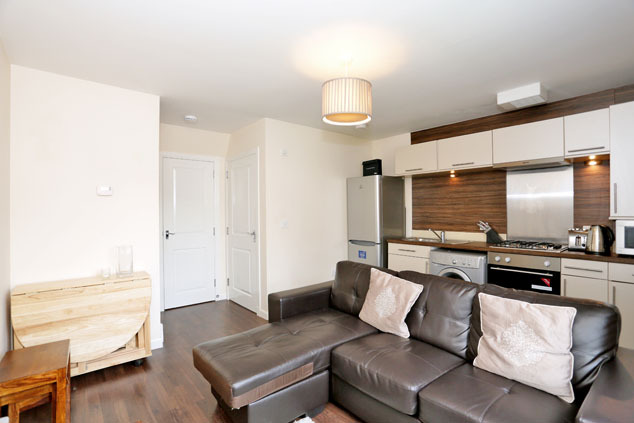 The accommodation comprises a superb open plan lounge with stylish fitted kitchen and a smart bathroom on the ground floor. 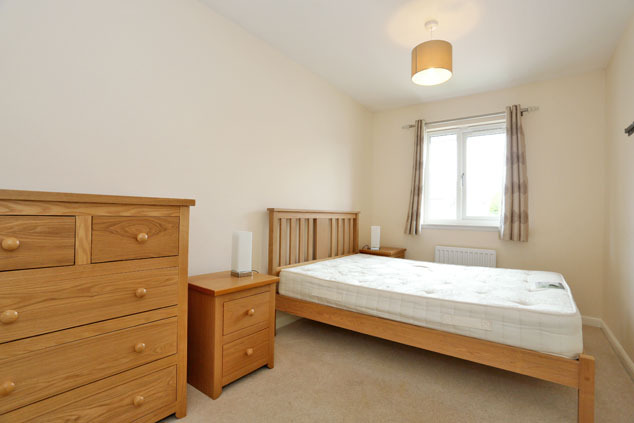 Upstairs, there is a spacious double bedroom with a walk-in wardrobe and a further study/bedroom. This lovely home also enjoys excellent storage with the addition of access to an exclusive loft space. Outside, there is a residents’ car park with an allocated space and visitor’s parking. Early viewing of this lovely home should be sought to appreciate the location and finish on offer. 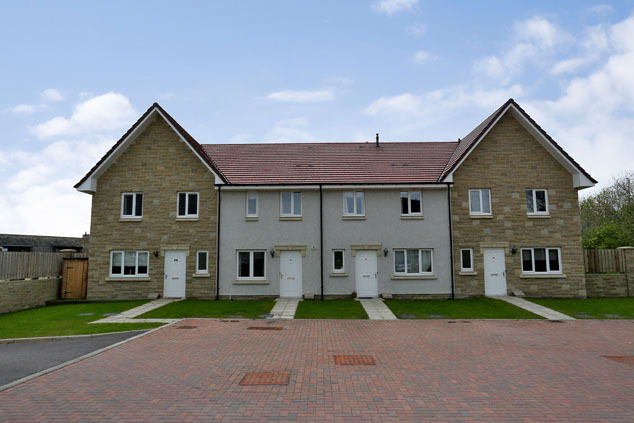 Kingswells is a popular suburb on the western outskirts of Aberdeen with easy access to the city either by car or public transport including a park and ride facility. There is a community centre, medical centre and a selection of local shops. Nursery and primary education is catered for within the area and secondary education is available in Westhill. Lovely walks can be enjoyed within the surrounding countryside. Lounge/Kitchen 14’9” x 13’6” [4.52m x 4.14m] approx. at widest A white panelled composite door leads straight into this bright room which is separated into a lounge and kitchen area on open plan. The décor is fresh and neutral with stylish dark wood effect laminate flooring. The kitchen boasts a good range of base and wall units in cream, edged with wood effect and stainless steel panelled splashback, and topped with the same wood effect roll top worksurface which incorporates a stainless steel sink with mixer tap and drainer. The integrated appliances include a gas hob with stainless steel extractor above and oven with grill function. 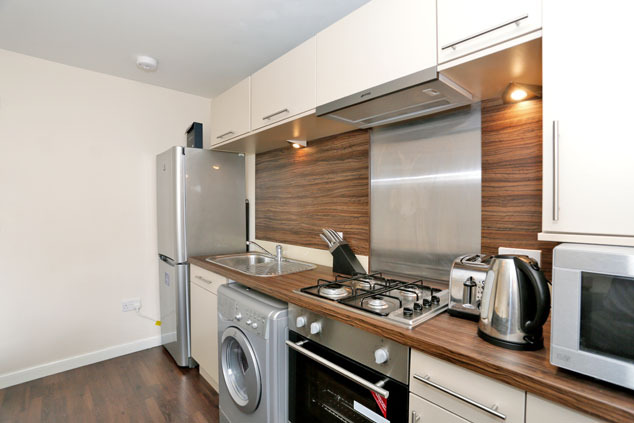 The free standing fridge/freezer and washing machine will also remain and the boiler is concealed within a unit. An understair cupboard houses the fuse box and electric meter and provides excellent storage. T.V. point. Telephone point. Thermostat. Smoke alarm. 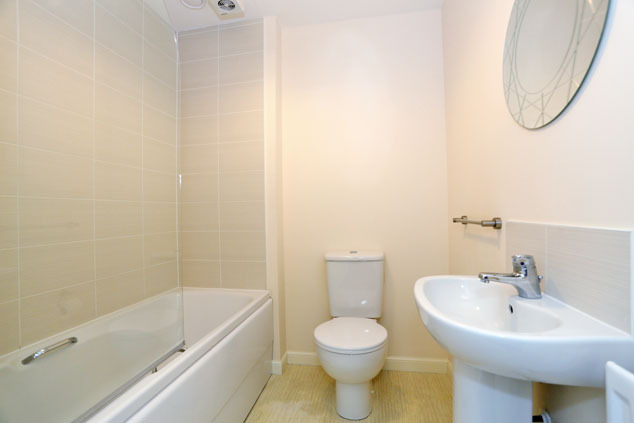 Bathroom 6’0” x 6’0” [1.85m x 1.85m] approx. Centrally set, this stylish bathroom boasts a modern three piece suite which includes a w.c., pedestal wash hand basin with mirror above and bath with mains pressure Ideal shower and glass screen. Finishing touches include extensive splashback tiling, vinyl flooring and neutral décor. Extractor. Upper Floor A carpeted staircase with wooden handrail curves round to the first floor and the remaining accommodation. The neutral tones continue from the lounge and there is a good size storage cupboard and access to the loft. Smoke alarm. Bedroom 1 13’5” x 7’8” [4.10m x 2.35m] approx. 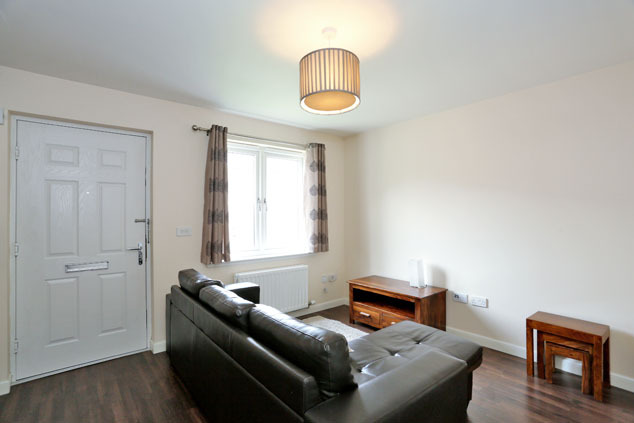 This well proportioned double bedroom is naturally afforded light by a window overlooking the front giving it a bright and airy feel. The complementing décor is in neutral tones with carpeting, and a superb walk-in wardrobe provides an abundance of storage with ample space for free standing furniture. T.V. point. Telephone point. Thermostat. Study/Bedroom 2 7’9” x 5’8” [2.37m x 1.73m] approx. Also to the front is this further versatile space which could be used as a handy study space or child’s room. The décor is neutral with carpeting. Outside The immaculately kept communal grounds are abundant with grassed areas, interspersed with well stocked borders of colour, and there is an allocated parking space within a car park to the side of the property as well as ample visitor’s spaces. There is also a secure bike store and bin stores which are brick built with wooden gates in keeping with the overall design of the development. Notes Thermostatically controlled gas central heating. Double glazing. EPC=B. The subjects will be sold inclusive of all fitted floor coverings, light fittings, curtains and blinds along with all integrated appliances and free standing white goods. Please note the furniture may be available by separate negotiation.